My favorite powder so far. I've been using since February a lot. 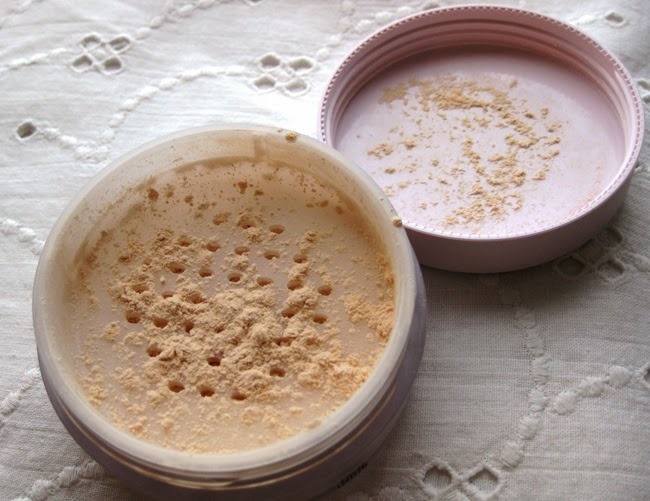 Despite the apparent yellowness in a jar on the face powder is transparent and does not give any shade on the face. That is, if you put it on clean skin - no shade \ alignment appears. Powder matting. Ideal. If you have oily skin or shiny bb cream and you want to give your face a matte finish - Tony moly Baby Doll BB Powder is your choice! Most matting powder comes with a white shade. There is no problem with the color, as I said. It's adapting to the skin tone. grinding is very small, easy to apply a thin layer. Presented in 2 shades - I own the lightest # 1 Light Beige. In the box there is a sponge for applying - the manufactures insist on using it, but I prefer the brush. My rating - 5/5 . Will I buy another one? I do not know, I think, by the time it ends, something new will come out that I certainly would like to try it. If you need a good matting powder - Tony moly Baby Doll BB Powder definitely worth to buy!